Elaine Ryan’s practice focuses on class actions, debt collection and general commercial litigation. Ms. Ryan has represented plaintiffs in numerous class actions in Arizona and throughout the United States, in both state and federal courts, including false advertising claims made by manufacturers and retailers, improper overdraft fees charged to debit cardholders, so-called “vanishing premium” life insurance policy sales, sales of non-suitable deferred annuities to senior citizens, the charging of improper contingent commissions by brokers of employee benefits insurance products and the failure of auto insurers to properly adjust claims by specifying inferior aftermarket replacement parts, failing to pay diminished value losses and refusing to properly designate vehicles as total losses. Ms. Ryan also represents numerous skilled nursing home and assisted living providers located in several states, including the largest skilled nursing provider in Arizona, in the collection of their accounts receivable and related matters. Ms. Ryan received her B.S. degree in economics and political science, with distinction, from the University of Iowa in 1986. She received her law degree from Duke University in 1989. Ms. Ryan was admitted to the Arizona bar in 1989. She also is admitted to practice in the states of Texas, Kansas, Missouri, Washington, Colorado, Utah and Idaho as well as the United States District Courts for the District of Arizona, Eastern District of Michigan, District of Idaho, Western District of Wisconsin and Northern District of Illinois. 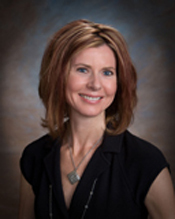 Ms. Ryan is a member of the American Bar Association (Litigation Section), Maricopa County Bar Association and Arizona Women Lawyers Association. She is a past member and officer of the Horace Rumpole Inn of Court. Ms. Ryan’s community activities are many, and have included serving as a board member, officer and chairwoman of the East Valley Boys & Girls Club, serving on the Valley of the Sun Boys & Girls Club committee, participating as a member of the East Valley Partnership, serving on the ethics committees of several skilled nursing facilities and serving as an officer of her current Homeowners Association.